The Oak Ridge School District is comprised of 9 elementary, middle, and high schools in Oak Ridge, Tennessee. 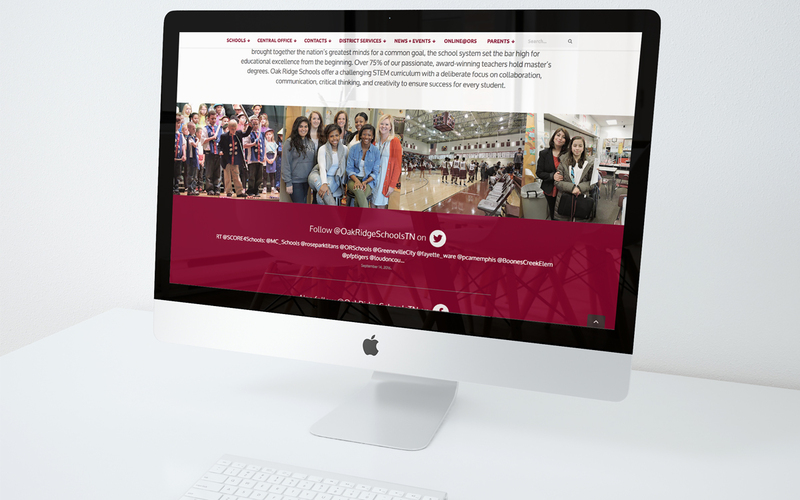 In the summer of 2016, New Frame Creative developed a robust new primary website for the school district. This site features nearly 150 pages, including custom menus, forms, a compelling home page video, multiple blog feeds, and social media feeds.